Homesteading involves using readily available materials and innovation to piecemeal together a complete picture, which is exactly what these pieces do as they come together to create a complete look. The Reclaimed Homestead Paneling is a bold mix of our reclaimed Brown Barnboard, Weathered Grey Paneling, Reclaimed Roofboard and Faded Red and White Barnboard. This wall covering gives the best that reclaimed has to offer between the texture of the Grey, the character of the roofboards, and the pop of color from the faded barnboards. 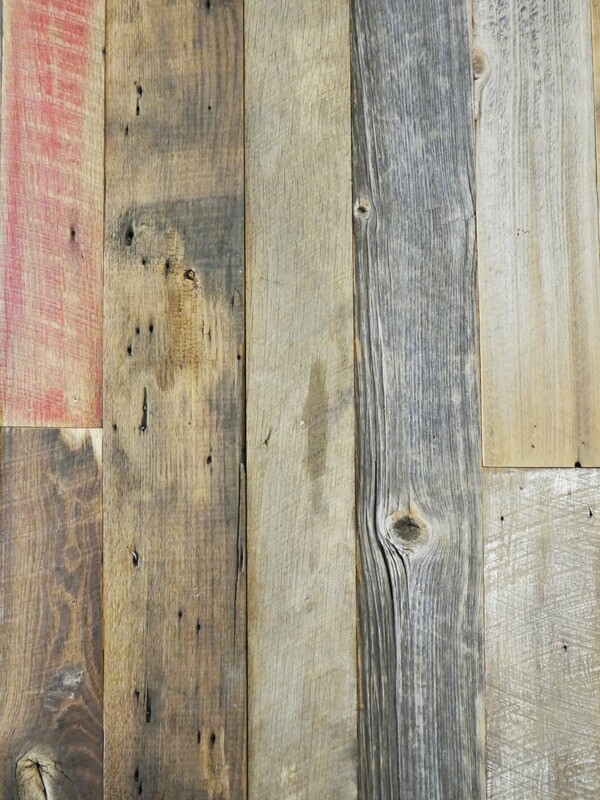 Our Reclaimed Paneling comes from Antique barns, homes and other structures that were weathered over time. Just as the material looks it is pulled from various sources throughout these structures such as interior and exterior walls flooring and roof boards. Boards will be a mixed specie and wear at different levels.